Preferred rates on Billboards, Radio or print ads are available. Locating them can be difficult…. who do you call and when. Jeffress Media is your single point of contact to source insider deals on the media you want. Jeffress Media has been buying media in Australia for 15 years. In that time we have leaned what works and what doesn’t. 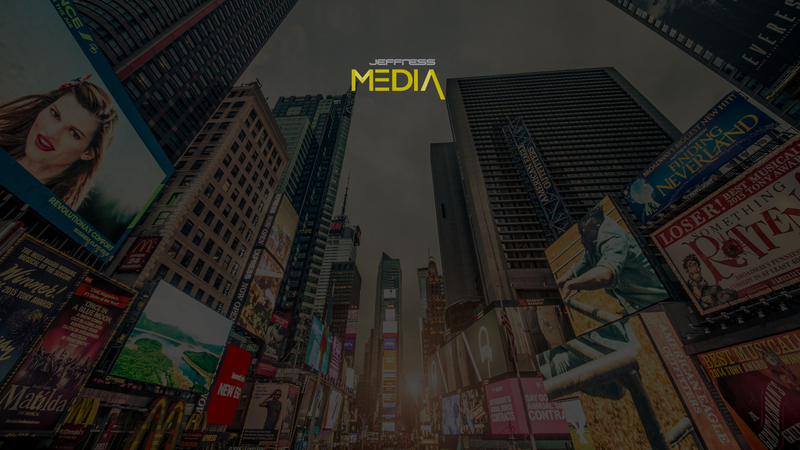 Whether its a one off advertisement or a campaign we can advise the best mix of media for your needs and manage it from start to finish. When the media are left with unsold inventory, Jeffress Media are advised. We quickly inform our client base of hot offers that may align with our client's marketing strategy. Many times these opportunities may inspire different approaches to marketing that may not have been previously considered. We offer discount advertising rates across all different types of media- billboards, radio, tram and bus wraps, digital boards and more.When the media have unsold inventory closer to booking deadlines they often bonus this media to current clients or offer the media at greatly reduced prices. This is where we come in, we can let you know what’s available, and of course suitable for your needs. We can get more value out of your marketing dollar and offer experienced advice on what will work best for you. There are so many offerings available in can be confusing but our team can work with you and make this process simpler for you, Offering you maximum exposure for minimal cost. We’re able to look after all your print needs such as magazines, journals and newspapers. We can offer publications with a broad media base such as a major national newspaper to a more targeted publication such as a local newspaper or an inflight magazine. People listen to the radio in many different environments – home, car, office, while shopping.Most radio stations can be streamed on the internet too, which means people are only a click away from looking up your website.Its a great medium for people as they can continue carrying out their activities whilst still listening their favorite station. Out of Home (OOH) media delivers high reach and are situated in high visibility areas. OOH media includes anything from ad shells at bus stops and ad panels in trains through to Billboards on a highway and ‘wraps’ on a bus or even a plane!. As a newsletter subscriber we will notify you of the latest media opportunities hot off the press. Take advantage of savings across a wide range of media and discover options that may be new and innovative. Just enter your email address to subscribe.